Hello! 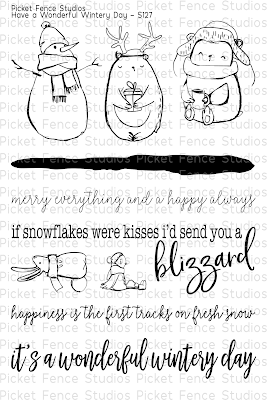 Angie here with a card featuring one of the Picket Fence Studios new releases Have a Wonderful Wintery Day. I think this friend trio is darling! I gave them a wintry background by stamping distress inks on an acrylic block, then spritzed with water and stamped on the cardstock. A little white ink splatter finishes off the wintry sky. The little trio were colored with Copics then popped up with craft foam. My finishing touch was to add this sweet “merry everything” sentiment which makes the card perfect for any winter celebration! That’s it for me today but before I go let me leave you with a link to the fabulous October release HERE. 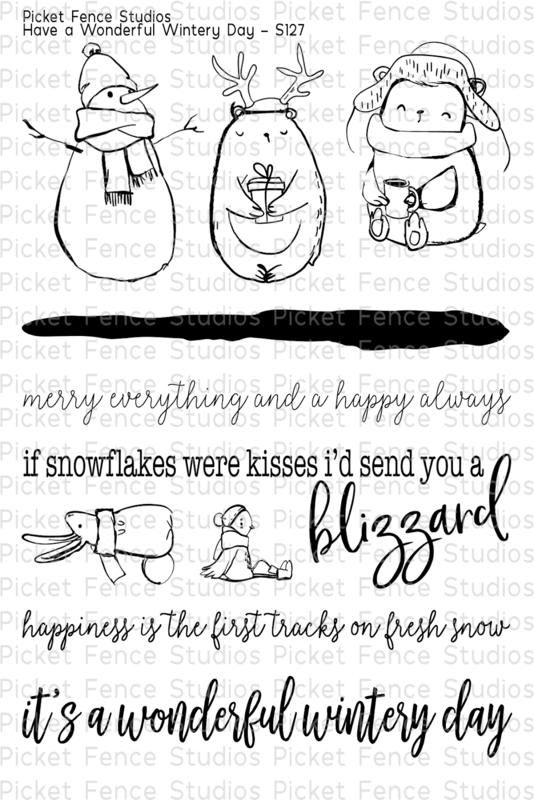 The new release overflows with pretty things plus Picket Fence Studios offers free shipping!